I finally got through all the Bead Soup Blogs. I've had coffee. No chocolate. And no pie. Oatmeal. But no pie. 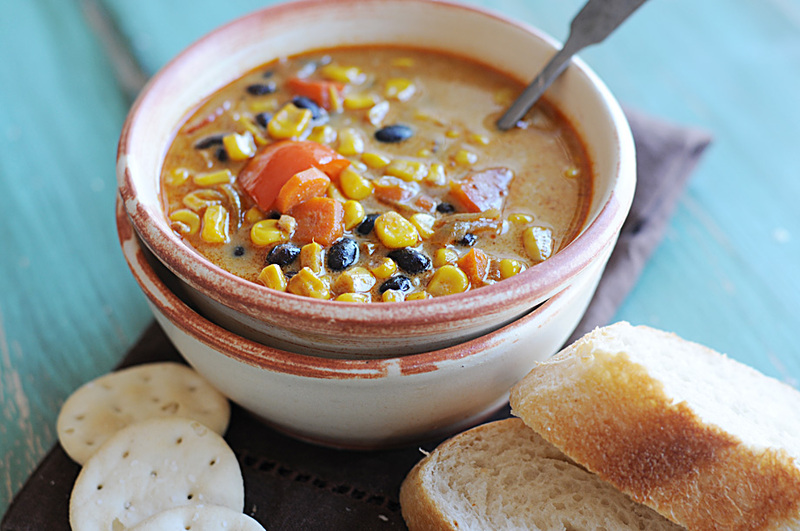 Roasted Corn and Black Bean Soup -- click here for the recipe! I have been gobsmacked by the creativity everyone has shown. And I want to thank everyone from the bottom of my hearts for participating. I have no idea how this humble hop turned into what it has. I hope it continues to be what it is -- a gathering of like-minded, bead-loving people from all over the world who want to meet and greet and expand their design horizons. So many of you expressed how you pushed yourselves, were forced outside your comfort level, and that is EXACTLY the point of this blog hop. So often we get used to the comfortable, the tried-and-true. Me, it's lots of color, purple, pink, blue ... lampwork glass ... silver. You didn't see much of that going on in my pieces, now, did you? My buttons. I've had these for nearly ten years before I got the nerve to turn them into jewelry. Up next week? PIFs that need to be sent out. There are over 70. I am definitely getting pie. But I LOVE sending PIFs, so don't worry -- this will be fun. My mailman will hate me, but I'll feel awesome. Not looking at beads as I pass the table. And a fond, heart-felt thank you to all of you, dear friends. ha ha..this has to be my most favorite episode from Seinfeld!! Love it..I actually found the soup last summer in a local store in the frozen food section...it's wonderful!! I can't say thanks enough for pulling this togther, but for now, my computer is going on off to spend the rest of the evening with my son! It was more fun than I could have imagined.....and I think my list of what I have been doing at the same time, well....lets just say it could give you a good run for your $$$! Lori, I'm still blog-hopping! I think I'm going to have to break this up as I have lessons to plan and homework to grade. lol Not to mention laundry, dishes, and cats and a husband who feel totally ignored! So once again--Thank you for all the work, headaches, computer malfunctions, and stress you endure so the rest of us can have a boat load or two of fun! I love the soup nazi episode! enjoy the bath and hope the headache eases! Thanks so much Lori for fitting the party in on your list. I don't know how you get it all done. I'm still enjoying checking out everyone's blogs. It's been great fun. Enjoy that bath & feel better. THANKS Lori!!! As I have said before-- You are awesome--- I never could have made it all work. I don't know how you do everything you do, but thanks so much. Mmmm, that soup looks good. Oh Lori, you're a trooper! I'm still slovly going through all the participants' blogs, there's so many wonderful inspiring people. Enjoy your bath and relax, you deserve it! I love the "Soup Nazi" Thanks for sharing. Thanks also for all your genius in putting this together. I foresee 500 participants next time around. Oh no, Can I read that many blogs? You are truly a superwoman. I would have had a nervous breakdown (or two or three). You sure have done a fantastic job Lori. I'm still going through all the blogs, and will probably do a "re-run" again later on. Even though I didn't participate, I really enjoyed seeing what everyone made with their soup ingredients. Hmmm - maybe in August. I am only halfway through the hop... any bets on how long it will take me to completely get to them all? I am hoping to be done before I leave for DC! This is really wonderful. I was struck by how many said that this pushed their limits. That is exactly what it is all about. Way more fun than knowing what you will get or using what you are comfy with. This was just marvelous and the credit goes to you for keeping us all on track and moving forward (I know that I wouldn't be able to handle it all with as much grace and graciousness as you did!). Looking forward to the next hop! Mmmmm, pie :) You have been a very very busy girl...I'm tired just reading the list! Phew! Looks like it's been BUSY! Lori, a great big applaud to you for an outstanding "job" well done! What an accomplishment, organizing over 200 of us! We all enjoyed it and can't wait to do it again. As for me, I'm still hopping along and enjoying all of the Bead Soup out there! Boy, you've seriously been BUSY!! Bless you! You must know some secret technique for making the most of your time as I'm not even halfway through the blog list....I'm working on it though. you have been one busy lady! I'm so glad for all the work you've done. I've had so much fun! I am DONE. I actually finished yesterday just before the race. I hit each and every blog (sometimes twice to see it again or waiting for the post to show) I read each word and commented on all the goodness everyone created. You should be so proud of what you did and how everyone responded. I was such a soup pig that I think I might just have to exercise! Its been sooo fun. 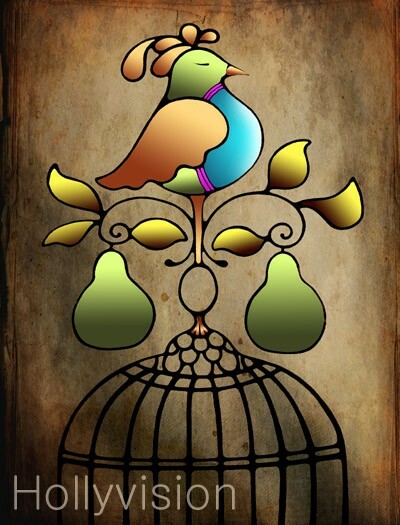 I still have a lot of hopping, and intend to take today off (my brain is mush and studio is neglected). But I am so excited to finish. I keep finding such unique and cool blogs / folks! Love the challenge, and it has convinced me to do more challenges, so I can expand my comfort zone. I think I need to make more long necklaces after all the great feedback on the one I made. See, I would have missed out on that if not for bead soup! Thanks for all your hard work Lori. You rock! I'm still working my way through the blogs....people can expect comments from me well into the weekend I think :D thank you Lori for organising a fantastic bead soup party. 3 days in and I'm still partying! Thank you again Lori! I am only in the 40's with the blogs but taking my time and trying to leave meaningful comments. I love seeing all of the creativity! Enjoy your pie!! this is so much fun! You all are so talented. Beads on the brain!? Did you notice your slip on your soup caption, Roasted Corn and Black "Bead" Soup? Cute, made me chuckle. Btw, the recipe sounds great and Seinfeld in one of my favorite all time shows, I have the whole series. Beads on the brain!? Roasted Corn and Black "Bead" Soup, cute, made me chuckle. The receipe sounds good and love Seinfeld. Wow . . . you packed as much in the blog as you did all week . . . I'm tired JUST reading it all. Will have to try the soup, beautiful beads and jewelry as always.